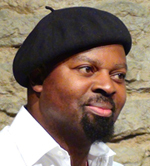 BEN OKRI is the author of 10 novels, including The Famished Road, which won the Booker prize, and The Age of Magic, as well as volumes of poetry, short stories and essays. His work has been translated into more than 26 languages and has won numerous international prizes. He is a Fellow of the Royal Society of Literature, Vice-President of the English Centre of International PEN, and Patron of the International School of Storytelling. Born in Nigeria, he lives in London.